The 3D Machine Control Modeling Specialist will assist the company’s Vice President in growing our service offering for this hot new market. Translate/interpolate construction documents into working 3D models and create 3D Machine Control Modeling files to be loaded into various heavy highway construction equipment systems. Applicant will assist professional land surveyors in designing, planning and execution of segments of projects and support with related research. Work varies in complexity and requires independent judgment, initiative and application of standard construction surveying practices, as well as, able to translate/interpolate construction plans in a working 3D model. General knowledge with GPS machine control hardware and software including interfacing between desktop computer and heavy highway equipment. R.W. Engineering & Surveying is seeking a CAD Designer to perform technical and para-professional land surveying and civil engineering to support projects and operations. Applicant will assist professional civil engineers and land surveyors in designing, planning and execution of segments of projects and support with related research. Work varies in complexity and requires independent judgment, initiative and application of standard civil engineering and land surveying principles. R.W. Engineering & Surveying is seeking a Civil Engineer with site design and stormwater management skills. Individual will establish basic design criteria and perform a variety of skilled engineering work in the office or field. Requires application of standard engineering techniques, professional judgment, and ability to execute complex solutions. Successful candidate must have excellent communication skills and be a self starter. Applicant must be a highly motivated individual with minimum 4 years’ experience. Must be proficient with AutoCAD Civil 3D 2017. Bachelor’s degree in civil engineering from an accredited program. Willingness to assist in firm marketing. R.W. 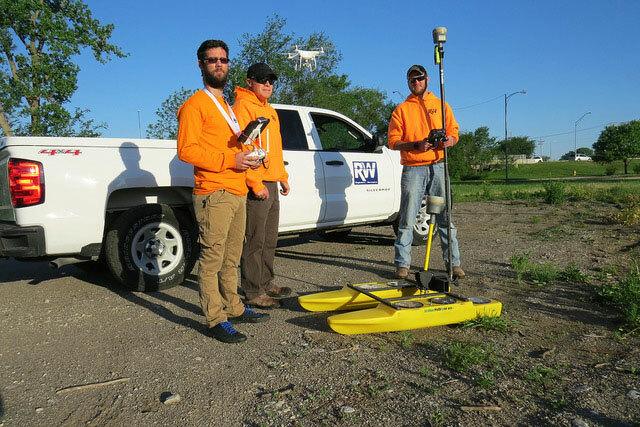 Engineering & Surveying, Inc. is currently seeking a Survey Technician 1 (Survey Crew Chief) in our Omaha, Nebraska office. Applicant must have a minimum of 2 years Land Surveying experience at the survey crew chief level. Must have experience with GPS and Robotic Total Station equipment. Perform work under the direction of the Survey Department Manager. Applicant will perform fieldwork tasks related to construction, boundaries, and mapping requirements of survey projects. Construction surveying experience a plus. Ability to swing a sledge hammer is a plus. R.W. Engineering & Surveying, Inc. is currently seeking a Survey Technician 2 in our Omaha, Nebraska office. Perform entry-level work under the immediate supervision and direction of the Project Surveyor and/or Survey Crew Chief.